It’s the most famous cop out in the theatre. 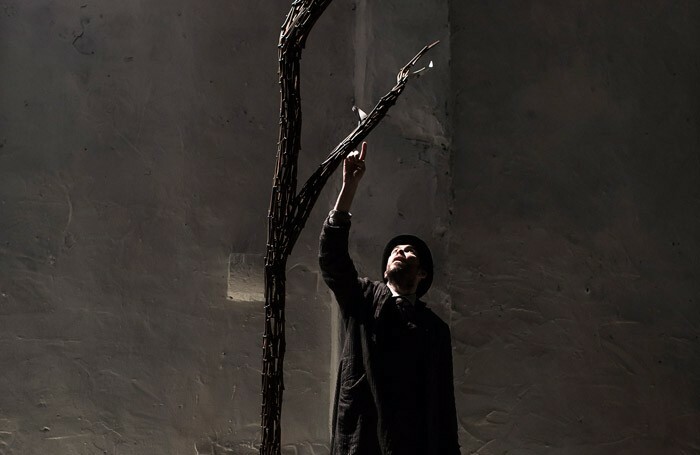 Audiences have come to expect the non-arrival of the mysterious title character of Waiting for Godot just as they’ve come to expect the play’s cryptic philosophy. Recent Irish productions have leaned heavy on the tragicomedy’s music hall elements. It’s been nearly 30 years since Tony-winning director Garry Hynes has approached the existential absurdity of Samuel Beckett and Druid’s new production feels like the best work made of the play in years. Hynes’ sympathetic staging brings a freshness to the play. The two tramps waiting on a country road are more than clown acts – they are rivetingly human. 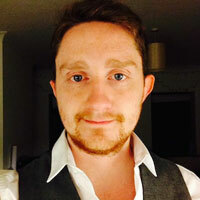 Aaron Monaghan’s bewildered Estragon is surprisingly acerbic to the pompous, excitable Vladimir, played by Marty Rea. Their routines of abuse and reconciliation, their repeated gestures and melodies of speech, as crafted by Hynes and movement director Nick Winsto, add to this sense of their humanity. Francis O’Connor’s set is a bold exercise in modern kitsch: a tree made of bamboo shoots hoisting a crystalline moon. The de-familiarised setting and design makes some elements of the play more explicit than usual, chiefly the traces of the concentration camps in Vladimir’s costume. The production has a sombre tone, thanks in part to the restraint of Garret Lombard’s Lucky and Rory Nolan’s tragic Pozzo. With news that Godot won’t be coming, Vladimir and Estragon become disturbingly woozy as they feel the hit of Beckett’s cruel trick.